Bookshelves come in different styles. There is that famous floating shelf that never fails in whatever space. 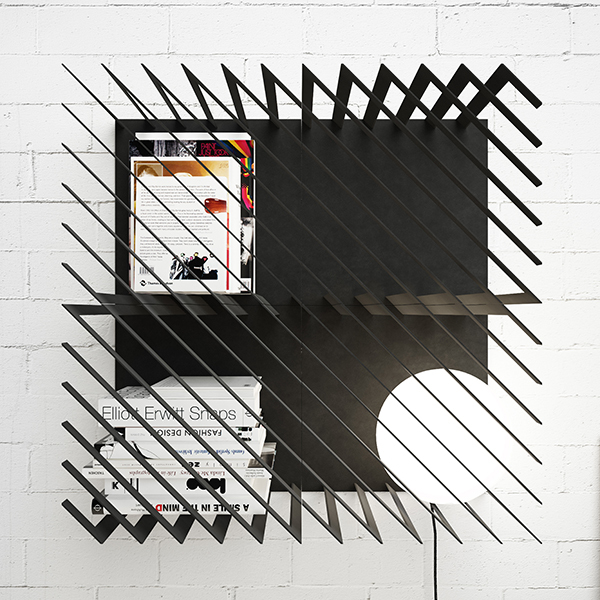 But there are also other designs of shelves that are very interesting. Some would even pass as works of art because of their sculptural appeal. Still others are very creative in design that makes it a lovely statement for the house. But one thing is common in all shelves: they are all functional. 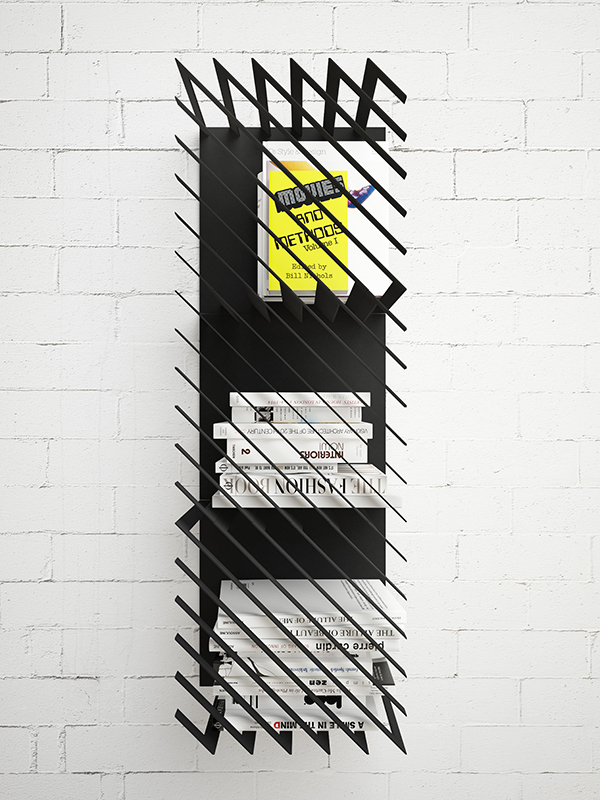 Today, we will show you a shelf that has a graphic appeal. It is called Hash and looks very different from other bookshelves that we will see. Hash has diagonal lines whose apearance may vary depending on how you want it. You can put together the diagonals in various creative manners giving it a cool and visually dynamic look. 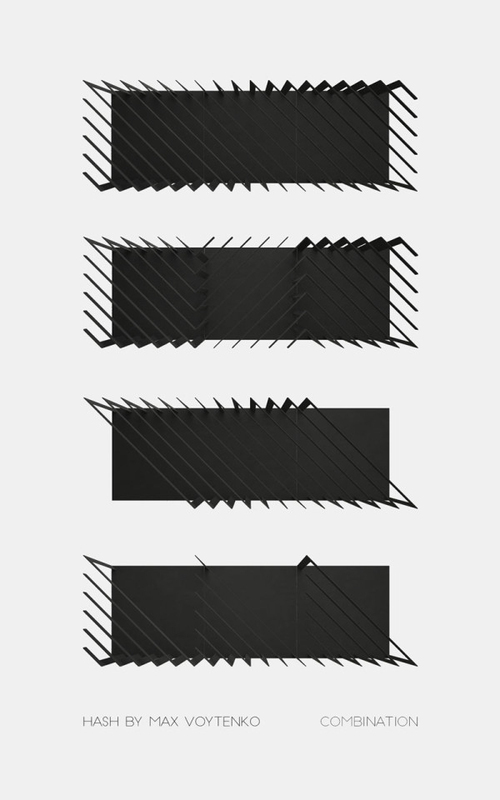 It is made of black painted painted steel where the diagonal slats almost act like a cage. 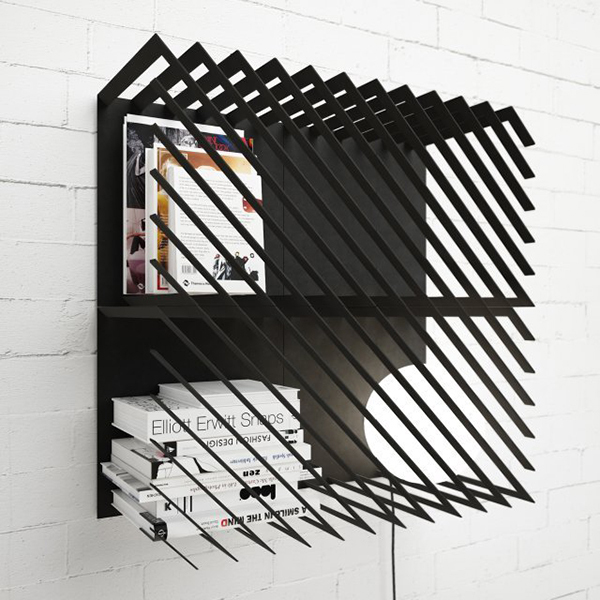 The diagonals of the shelf give it a cage-like design and it has a graphical appeal too. You can store your books and other items inside it just like a usual shelf. The diagonals can be adjusted depending on how you want it to look like. This one is a square version of the shelf. There is also a rectangular version that is tall and slim. But it has the same diagonals on it too that can be adjusted. 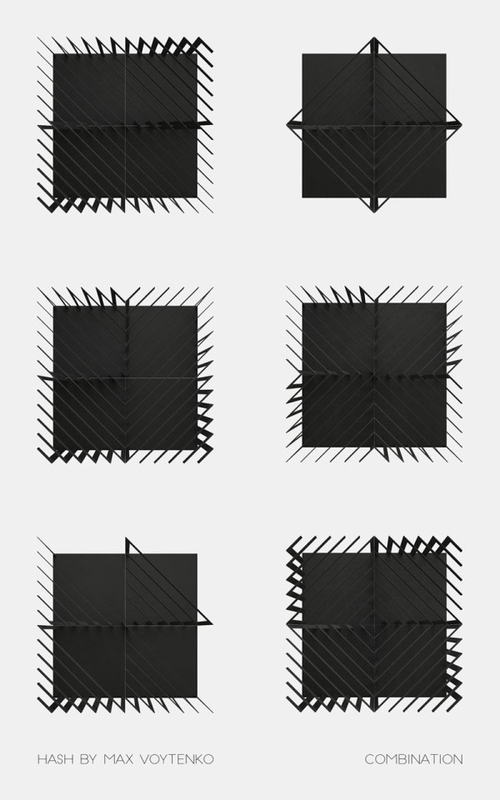 Here are the possible designs that can be created with the square shaped Hash. The vertical rectangular Hash can be done in four different ways too. While the horizontal rectangular Hash can be designed in this manner. 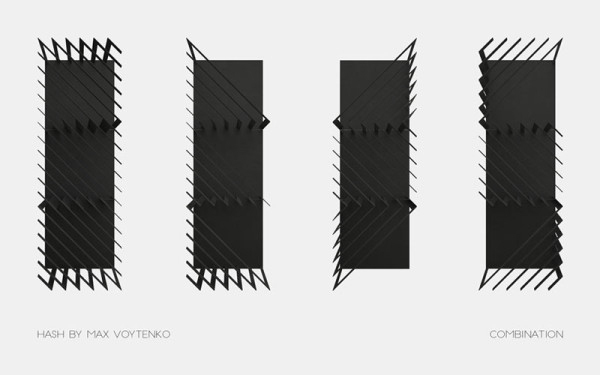 Max Voytenko of Line Studio designed the shelf. It has a design that may capture the hearts of many because of its uniqueness. It doesn’t even look like a shelf the first time you look at it. Well, what is important is that it can store and contain your stuff like books and others. 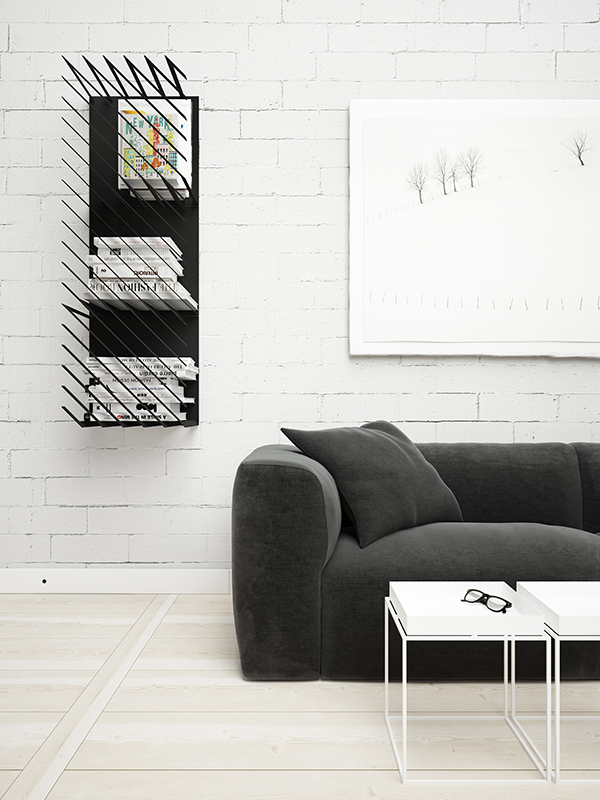 It may look like a cage but it is a stunning wall item that we can add to our home. 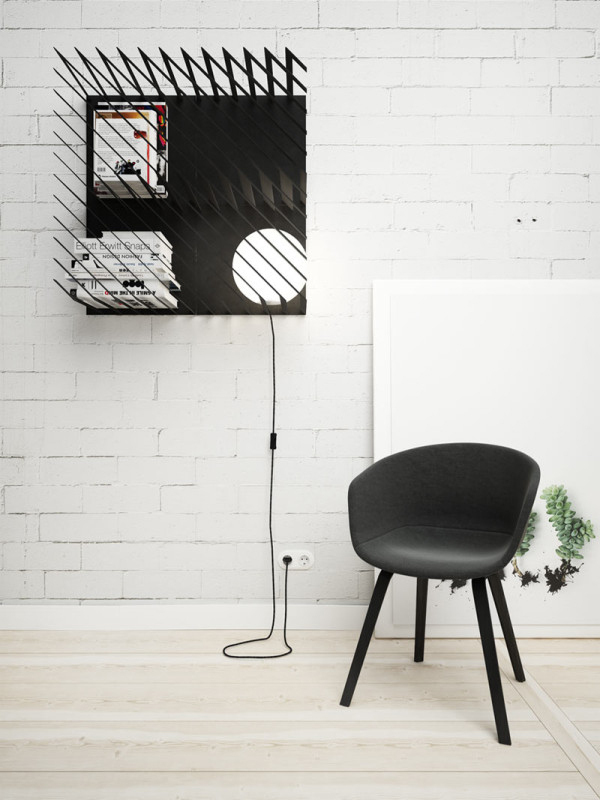 Can you tell us what you think about this shelf?